Unity feels more responsive than ever, especially the Alt+Tab. 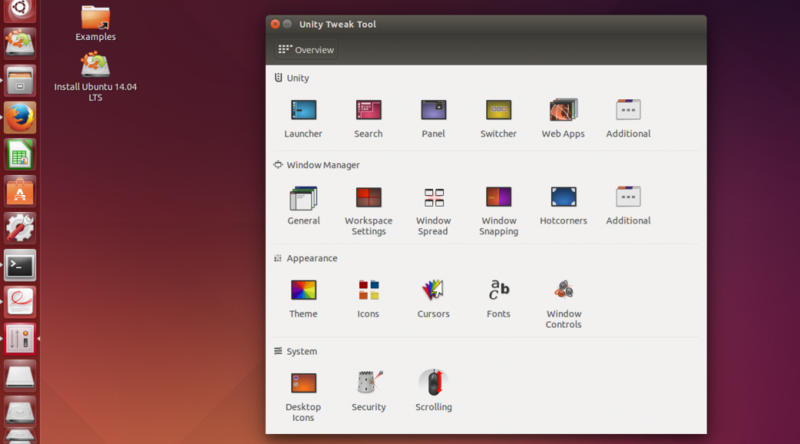 I would’ve loved if Ubuntu packaged the Ubuntu Tweak Tool as default installation. The Web Apps for firefox seem to have gone! Feel bad for its lovers. 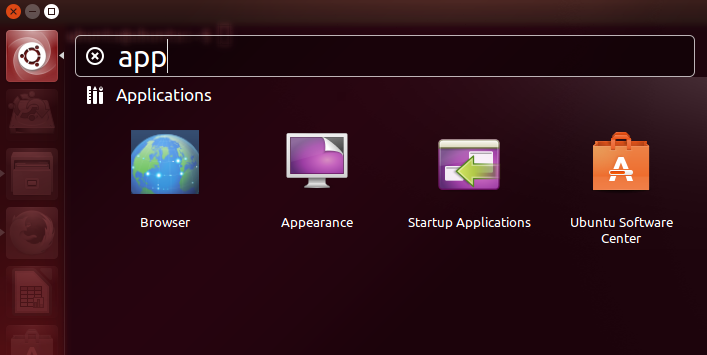 If lucky u’ll get a notification to add the app, however when opened it opens up the built in Ubuntu Web Browser. No more integration with firefox tabs. This Browser loads up “Ubuntu Home page” There are no UI elements to navigate anywhere else. The only way you could access is thru HUD ! – I have no idea why its included. The Acid test is still pending, I’ve still got to use it during office hours. With apache, mysql, IntelliJ, Netbeans, Sublime Text all running at once. Only then will Ubuntu as a desktop will truly be gauged. The test machine is fairly strong. 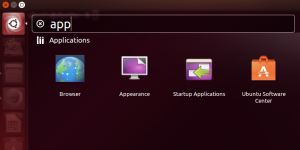 All in all, Ubuntu continues to roll out another strong release. 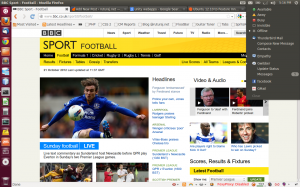 Update (30 Apr ’14): The update of Firefox 29 seems to have knocked off the HUD Bug when using Alt + D combination to focus the address bar. Please save the attached file as .fonts.conf in your home folder ( ie. /home/michael/.fonts.conf ). Note the file name is .fonts.conf with a period in the begining. Above will render fonts in the best possible way (Font Rendering is matter of preference – tweak around for yourself). Now any application, Google Chrome, Firefox, etc will render fonts in the same manner.